A Ugandan school has been able to capture the life-changing experience of a visit to Jersey thanks to the donation of smart phones by JT. Christine Auma is a 14-year-old pupil at Mifumi Primary School. She recently visited Jersey with teachers Margaret Apio and Beatrice Atyang. They were guests of MPS Uganda, a Jersey charity. They have supported the school for almost two decades. MPS Uganda was named Small Charity of the Year at the last Jersey Charity of the Year Awards. 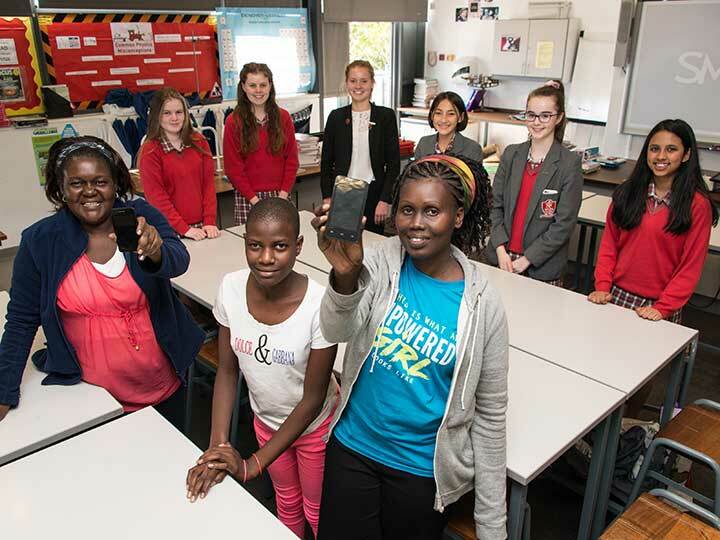 A delegation from a Ugandan primary school have been able to capture the life-changing experience of a visit to Jersey thanks to the donation of smart phones by JT. While in the Island, the trio visited a number of primary schools and were guests at a gala dinner. This raised £14,000 for the charity, which supports the school in a variety of ways. Also this includes funding equipment and building work, and supplementing teachers’ salaries. Islanders have also helped to build classrooms, dormitories and offices. This was achieved through funding and more directly volunteer teams sponsored by the Jersey Overseas Aid Commission. Overall, the visit raised £30,000 for the charity.